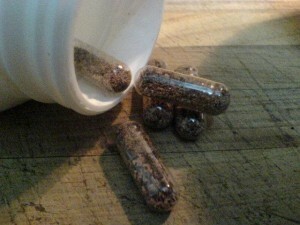 Expat Family Health » Human placentophagy: beneficial to health? Many women are so convinced of the health benefits associated with consuming placenta that they are digesting the organ in pill format. Human placentophagy, or the act of consuming the placenta, has been considered a sacred act for thousands of years in Asia and Africa. More recently, people have started to ingest this human organ in developed countries, particularly in European countries, due to supposed health benefits, including improved lactation capacities, the prevention of postnatal depression and even the lessening of pain during childbirth. But has this been proven and can eating placenta really benefit your health? Scientists don’t think so. Results from this scientific paper regarding the effect of placentophagy reveal that there are in fact no proven benefits to eating placenta after giving birth. The placenta is an organ attached to the lining of the womb and develops during pregnancy. It produces nutrients and oxygen for the baby while also removing any waste products from entering the baby’s blood. The placenta acts as the link between baby and mother via the umbilical cord. After reading many articles and testimonials about human placentophagy, I was surprised to discover that consuming the placenta in some countries is the cultural norm. For instance, in Hawaii, mothers are authorised to take their placenta home after giving birth if they so wish. Many women are convinced that the placenta is full of vitamins and that it has the potential to reduce their risks of postnatal depression. For women who are more susceptible to depression, it is unsurprising that they are so willing to absorb the placenta in any way that they can. Ironically made famous by celebrities themselves, the most popular mode of digesting this organ is by creating pills. In order to do so, the placenta has to be cleaned and cut up very thinly after which it is dehydrated and put into capsules. So far, results suggest that placentophagy does not contribute to the well-development of the baby nor does it provide health benefits for the mother after birth.